After some leaks that let us see almost completely the new Motorola mobile, it is already official Moto Z2 Force, the high-end mobile of the formerly known as “Lenovo Moto”. New high-end smartphone from Motorola is loaded with improvements, in a similar design and with new MotoMods, modules that add functions to the mobile. The new Moto Z2 Force is characterized by a metal design and thinness worth seeing. Motorola adds extra strength with 7000 series aluminum, harder on falls. The mobile is 6.1 millimeters thick and a battery of 2,730 mAh. How will this affect the operation of the mobile? Usually we see 3,000 mAh and normal uses for more than one day. It has a 5.5 inch Quad HD AMOLED display and no, no screen from edge to edge or curved edges. Motorola is committed to a traditional display/design format. At the bottom has the start button which is also fingerprint reader. In the interior there is a Qualcomm Snapdragon 835 processor with 4GB/8GB RAM. 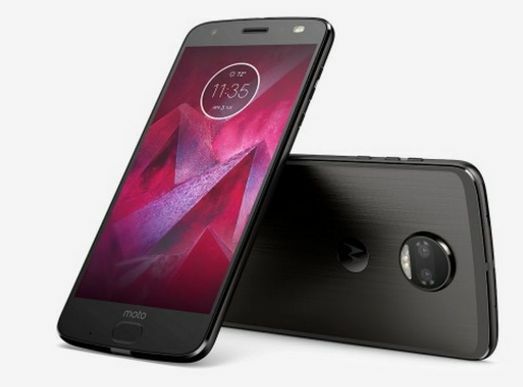 Adds 64GB of expandable internal memory with microSD card and USB-C connection with quick charge TurboPower and without headphone jack, you will have to use the adapter that will come with the mobile or opt for USB-C (or Bluetooth) headphones, something that Moto Z2 Play is available. As for cameras, Motorola bets for double rear camera in this Moto Z2 Force. Specifically two 12-megapixel camera and a 5-megapixel front camera. One of the rear cameras has a black and white sensor that will focus on improving the focus, while the other color sensor will capture the rest of the scene information. But while the quick focus is important, it is known that the reason why two cameras are inserted is to get the desired selective shooting mode of portrait photos, something that has worked very well with Apple iPhone 7 Plus, Huawei P10 and other manufacturers. 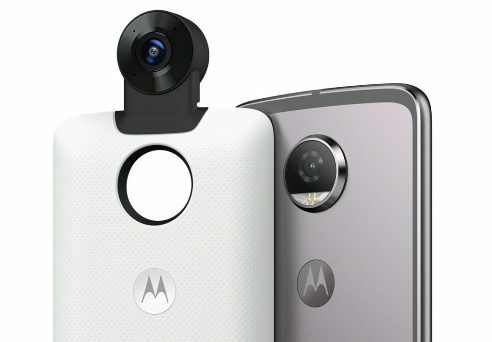 To accompany the new Moto Z2 Force, Motorola adds a new member to the MotoMod family of accessories: the 360º camera. This module is exactly what you could expect, a 360-degree camera that lets you capture all your surroundings to record videos and then upload them to YouTube or Facebook, and the two video platforms that support this type of videos. It is interesting that this module, which will cost about $300, captures 360º videos in 4K resolution, that is, the videos occupy a lot, so you will need a microSD card of sufficient capacity if you do with this module. Moto Z2 Force goes on sale at the end of the summer in several countries, like USA, Mexico, Brazil and some countries of Europe that have not yet been defined. It will cost around 700 dollars in the free market.